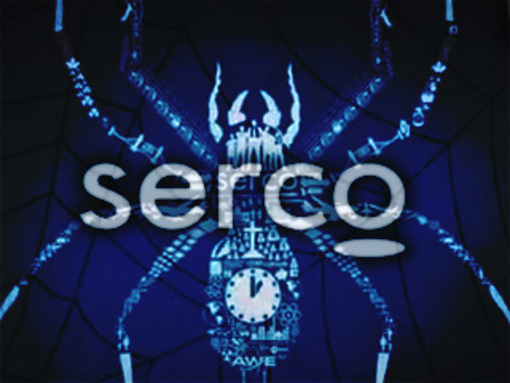 In view of its sheer size, scope of operations, and far-reaching penetration of both the American and British national security states, it’s inconceivable that SERCO has remained so conveniently under the radar for so many years. Just how much “Bringing service to life” does SERCO do here in the United States? The following is a truncated list of their affiliations in and around the U.S. Federal Government and Armed Services. Their website is quoted as follows: “Skilled resources and a global presence to execute any CONUS or OCONUS* task”. Serco was founded in 1929 as RCA Services Limited, a United Kingdom division of the Radio Corporation of America and initially provided services to the cinema industry. 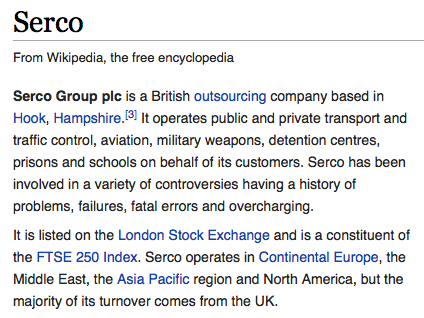 It changed its name to Serco in 1987 and has been a London Stock Exchange listed company since 1988. So the 64 thousand dollar question is how, and most importantly why, a British Corporation controls so many critical functions within the United States of America, as well as within many other key Western nations around the world? There is only one answer: Because SERCO is a foreign multinational corporation, it can do things at its headquarters in Hook, Hampshire, United Kingdom, that a U.S. company could simply not get away with. The best illustration of this fact of the U.S. government–U.K. corporate cozy relationship is the BP Gulf oil spill. The excerpt below delineates the basic scheme that plays out across the planet 24/7, especially where plausible deniability or safe distance is needed for the U.S. Federal Government. Well, not quite. You see, BP, as a foreign multi-national corporation, can do things in the process of exploration, drilling and extraction of oil that US-based companies can’t do. What and why, you may ask, would a foreign national corp (short for corpse) with a track record like BP’s be given so much latitude? How could they, of all oil giants, be the beneficiary of such permitting largesse, regulatory laxity and freedom of practice? What the SERCO researcher should glean from this quite telling disclosure is that the U.S. Government reflexively outsources every single service or functions, dirty job or unsavory task that it needs to distance itself from. In the case of conducting extremely risky and outright dangerous oil drilling in the Gulf of Mexico the globalists chose BP to do the dirty work. In that particular instance it had everything to do with liability — financial and legal. However, the primary reason for such an arms distance government-corporate relationship is the ‘necessary’ of buffer of plausible deniability. 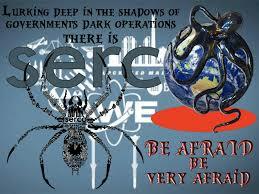 SERCO is handed the job of serving a multitude of patently illegal contracts executed by the U.S. government. They routinely perform some of the most shady services within the most corrupt sectors of the national security state apparatus. Now the reader understands why they whitewash their corporate slogan/tagline “Bringing service to life”. They sure do — they bring services that nobody else will touch because of their inherent threat to life. Whose life? Everybody and anybody involved with the SERCO ‘services’. Yes, what they really do is that perilous to people and dangerous to property. The link below provides some of the details to the convoluted but true back story of the highly mysterious disappearance of Malaysia Airlines Flight 370 … and the direct involvement of SERCO. 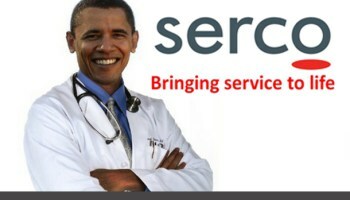 Obviously it was no accident of good fortune that SERCO was chosen to processObamacare applications. What, pray tell, is more important to control than the healthcare delivery system of any nation. When you control the healthcare services, you control the health of the citizens. When you control their health, you effectively control them. If you don’t believe this, then please read the flowing exposé. With this hidden knowledge it is now much easier to understand why SERCO was the recipient of a literal barrage of bad press right in the thick of theObamacare rollout debacle. The headlines below are by purposeful design, not because SERCO screwed up. Did SERCO really do the things that have been reported in these articles? Maybe; maybe not. Probably they did, however, just to confer street cred to their reputation of corporate corruption and irresponsibility. Assume that they really are responsible for these unparalleled fiascos and then you will comprehend the strategy which has been used all along to make the taxpayer think that SERCO is just another greedy, incompetent government contractor. This image has been carefully sculpted over decades to convince (deceive) the general public that they are too incompetent and irresponsible to perpetrate the countless black operations which they carry out on a regular basis. In fact, they have a very critical mission in the execution of some of the most highly consequential implementation plans having to do with everything from 9/11 to the Oklahoma City bombing, from FEMA to the Department of Homeland Security, from Obamacare to NSA surveillance and spying, from the Russian warplane shootdown to the Benghazi CIA gun-running operation, from the Syrian War to the arming of the Islamic State. And these examples are only the least consequential; the others are so secret and highly classified that Hillary Clinton was forced to set up her own personal email and home server in order to privately communicate about the more [illegal, unlawful and illicit] serious business. Yes, that’s precisely why she stonewalled the House Committee for years and was unwilling to turn over her emails … or even her server which was effectively the property of the State Department since it was used to conduct official government business. Whenever and wherever SERCO is involved with the affairs of government, you know that there is something very, VERY wrong going on. 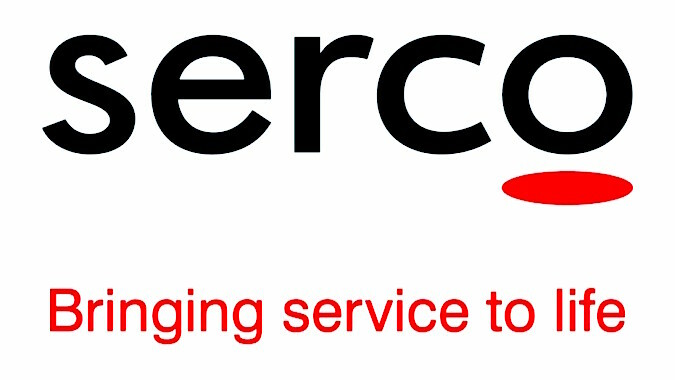 In reality SERCO is just one of hundreds of government contractors many of which perform similar services. Just like the U.S. Armed Forces frequently outsource their security to firms comprised of prior military mercenaries, there are outsourcing companies for every service and product under the sun. Hence the revolving door between the government and corporate sectors is now moving faster after than ever. The more politically sensitive and/or militarily dangerous any particular mission is, the more firms like SERCO are utilized to do the dirty work… real dirty work. Especially in cases like 9/11 and Sandy Hook, plausible deniability becomes the overriding factor. This is exactly why the U.S. Government gave BP total control over the BP Gulf oil spill crime scene. Not only were they a British multinational company headquartered in London, England, they could get away with criminal conduct that would have shut down an American company. Final Point: Outsourcing the most repugnant and unlawful operations of government has been the primary way for keeping it off the front page for decades. However, even the extraordinary rendition programs post 9/11 can be exposed when the right whistleblower wanders into the wrong place at the wrong time (actually the right place at the right time). Let’s face it, when government-sponsored abductions and the extrajudicial transfer of those abductees from one country to another are perpetrated in order to illegally torture those individuals, the Government-Corporate Complex that supports these blackops places itself in serious jeopardy. In this manner have the SERCOs of the world been put on notice. It should be pointed out that controlling forces within the United Kingdom have quite deliberately infiltrated all the English-speaking countries of the world. 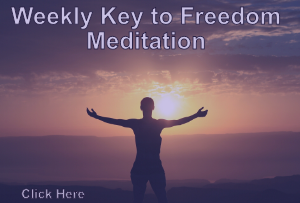 They each perform a crucial function in the implementation of the New World Order agenda. They also play an integral role in artificially maintaining the fraudulent Global Economic & Financial System.